WASHINGTON, DC: In the latest bout of antigerrymandering hysteria, the United States Supreme Court this morning narrowly ruled (by 7 to 1, with 1 missing in action) that the Mississippi River, which forms parts of the excessively twisted borders between as many as ten (10) states of the Union, is in flagrant violation of some unspecified sentence fragment of the Constitution and must be re-channelled into a perfectly straight line running directly from north (Lake of the Woods, Minnesota) to south (New Orleans, Louisiana) by the end of the year. The Mississippi River, originally constructed by primitive Mississippian Native-American Indians during the Mississippian Period approximately 350 million years ago, served simultaneously as the rapid transit service, sewage system, and fresh water supply of the fledgling North American continent. Ever since, the ravages of periodic economic downturns and the occasional ice age have taken their toll on the river's exceedingly fragile geometry. After: Taming the wild and wooly river will make it that much easier to reconfigure convoluted state boundaries along sensible straight lines. As recently as 1838, Samuel "By-The-Mark-Twain" Clemens (D, Missouri) became needlessly alarmed when he noticed that the Mississippi's length was increasing hyperexponentially, continuously acquiring so many additional redundant doglegs that more dogs than ever were going legless. It wasn't long until unscrupulous politicians took full advantage of the ensuing political chaos by redrawing and re-redrawing many state borders in order to maintain artificially-inflated representation in all two houses of Congress. 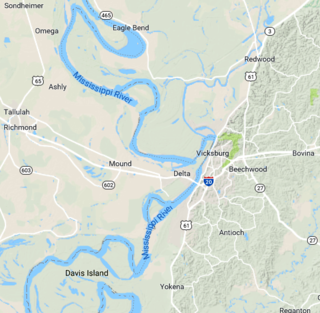 The state of Mississippi itself now boasts a border length much longer than the entire coastline of Norway, forcing dangerous flood-surge runoff and undesirable educationally-challenged voters to spill over into neighboring Arkansas and/or Louisiana. The court's conservative majority opinion, written by conservative Chief Justice John Roberts, said: "In our conservative majority opinion, the current shape of the Mississippi River is entirely at odds with our peculiar particular interpretation of the spirit of the original unamended Constitution, as originally written by the original Founding Fathers. We therefore order that the entire river be drained, filled in with cement, reconstructed, in-lined with inflexible steel girders, and encased in a 300-foot-diameter insulated pipeline, before valuable Canadian waste water is allowed to flow through it once again.". The court's liberal minority opinion, written by liberal Associate Justicess Sonia Sotomayor, said: "In my liberal minority opinion, the current shape of the Mississippi River has nothing to do with... wait, what was the question again?". Meanwhile, President Trump bitched and moaned and tweeted about how much additional federal funding would be required to be diverted away from his personal pet project of extending the Rio Grande all the way to San Diego and filling it with battery acid. "On the other hand," Trump went on to say, "on the other hand... wait, what was the question, again?" ↑ Is there any other kind? This page was last edited on 18 January 2019, at 03:21.